Sherin Moustafa is a realtor based out of the Phoenix metro area. 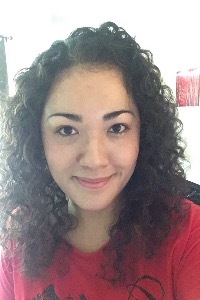 Born in Egypt with Taiwanese heritage, Sherin speaks fluent Chinese and English, and is competent in Japanese, Arabic, German, Italian, and French. Her cultural background allows her to develop an interest in a worldview real estate market. Sherin is a a multifaceted and accomplished pianist and business owner. She has received awards from piano competitions and was a recipient of the Neely Music Talent Scholarship, where she received full scholarship to study music at Arizona State University. She was also the keyboardist of 2015 Zoni award winning cast of Dreamgirls. She currently owns and operates a music school in Tempe Arizona and is the vice president of the East Valley Music Teachers Association. Sherin understands the demands and challenges of running a business. Whether it's her music students or real estate clients, Sherin places the utmost importance on listening and understanding their needs. Sherin knows how stressful buying and or selling a home can be. Her goal is to make you feel absolutely comfortable, stress-free and happy with the process and outcome. Sherin brings 3 years of experience in real estate, excellent customer service and a commitment to work hard, listen and follow through. Communication is paramount in business. Sherin dedicates herself to your challenges, needs and goals so you can have piece of mind when buying and or selling your home.